I hope everyone (who celebrates Christmas) had a wonderful Christmas this year. I am having a fabulous holiday with my boyfriend and his family, who actually celebrates it with a real tree, stockings, and eggnog, something you don't often see in an asian household. One of the decorations they have hanging from their window is a festive wreath of colorful lit bulbs resembling chili and jalapeño peppers, which reflects the colorful culture of their home town. 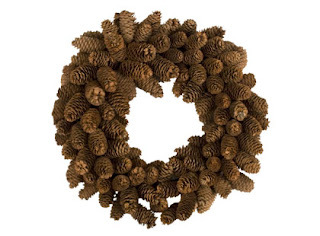 Traditionally, winter wreaths are made of evergreens to symbolize the strength of life, since these plants are able survive harsh weather and conditions. 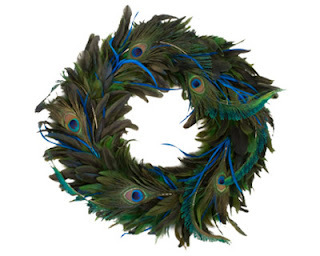 In this post, I would like to celebrate all of the creative non-traditional wreaths I have seen lately. The wreaths in this post are some of my favorites, and they are selected for their use of unconventional materials. 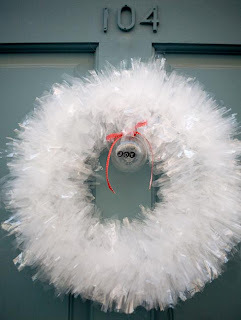 I especially applaud the beautiful DIY wreath below from VintageGlam for their creative recycling of dry cleaner bags. 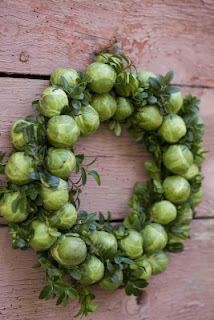 I found the brussel sprouts wreath the most eye-catching and comical, but I think my favorite is the living wreath. 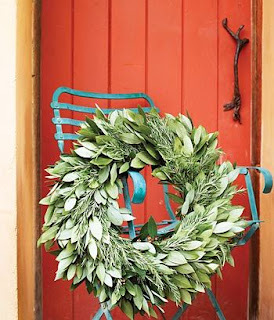 I am a plant lover, and I can see how this wreath would please those who love both designing and gardening. 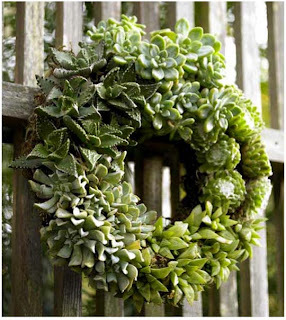 Instead of drying out and dying, this wreath would continue to stay green and grow for months or even years if properly taken care of. Although it may not retain its original shape and texture, these plants are actively giving back to the earth. congrats, 2draw! loved reading the post. the succulent wreath was my favorite too -- our yard when i was a kid was always filled with succulents of different types. i found this other interesting DIY wreath design, using old magazines, although i think i preferred it before it was painted: http://tinyurl.com/9urbpq.